A big thanks to the OU Alumni Association for matching $5,000 of the donations! During the 126 years of our university's existence, our students and alumni have come to expect a level of excellence in their experiences at OU. 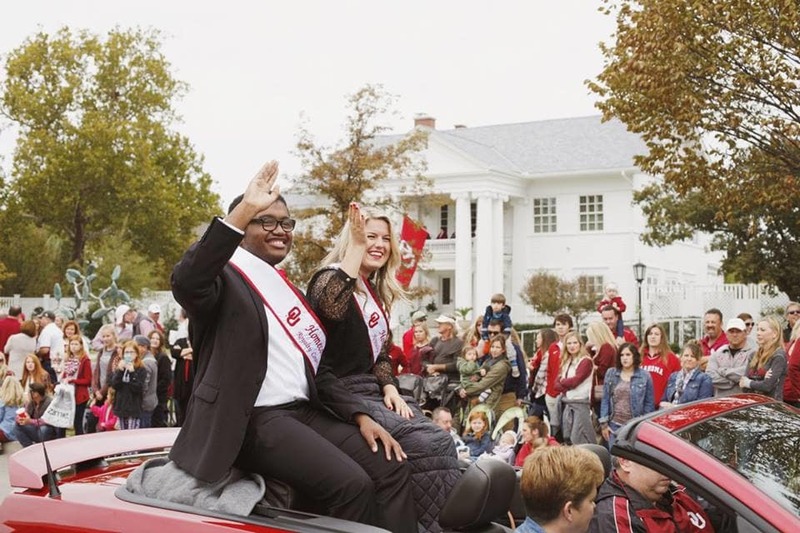 Homecoming is a hallmark of any college experience and the University of Oklahoma is surely no exception. As the oldest event on campus, Homecoming brings students, alumni, and the greater Norman community together to celebrate our university. After all, there is only one Oklahoma. Over 50 campus organizations this year will team up to compete in our mainstay events like the Rah! Rally and the annual Homecoming Parade. In addition to the 20,000 mums adorning campus this week, our student organizations decorate the university with intricately crafted boards, banners, and chalk drawings. Alumni are honored throughout the week as we welcome them back to the campus that they will always call home. This year's theme, Colors Proudly Gleaming, is both a reference to our time-honored chant and a recognition of the mosaic of student experiences that comprise our university. Throughout recent years, Homecoming has expanded at an exponential rate. In attempting to make our event more inviting and inclusive to all of our students and alumni alike, the magnitude of our week has grown. These expansions can be seen in the relocation of the Rah! Rally to Lloyd Noble Center, new and more inclusive alumni events, and a near doubling in the number of involved student organizations over the past 2 years. All of these additions help us better serve our campus and community, but also come with a higher cost. For organizations, the cost of materials (float supplies, Rah! Rally costumes) is often daunting. Our executive team also faces similar difficulties in funding our events. Your donation will help sponsor campus organizations, continue these events, and create new venues for all students to be involved in the Homecoming experience. Also, all donations made to our campaign are tax deductible. We cannot do enough to express our gratitude for your donation to Homecoming Reunion Week 2016. In addition to donating, please help us promote this campaign amongst your friends or former alumni through social media, email, or in person. Our top donors will be recognized at the Rah! Rally or at halftime of the Homecoming football game! Know that every dollar you give will go towards making all of the OU family, past or present, feel a part of this week that we love. You will be creating and maintaining an event to which all of us can be happy to return and call our own. 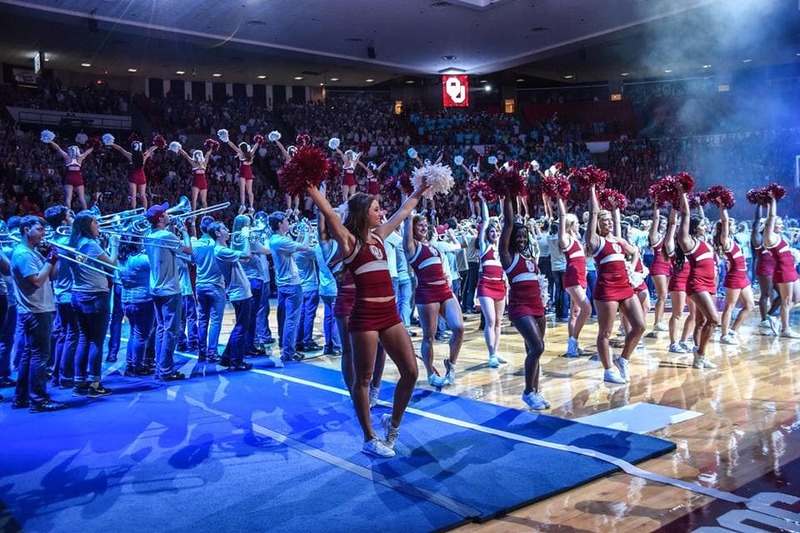 You will be shaping a Homecoming week that outshines any other in the Big 12. And you will be forging a week worthy of the traditions of our university and consistent with the excellence we expect at the University of Oklahoma. We hope to see you October 23rd-29th as we kick-off Homecoming Reunion Week 2016! Your support at this level would cover the cost of a Homecoming t-shirt for a student. Each year students receive shirts that have the Homecoming logo and graduation class on them. A gift of this size would allow one student to participate in the Homecoming Rah! Rally dance. Dances are performed for the student body and coordinate with the Homecoming theme. Your contribution would buy a sash for a member of the Homecoming royalty court. Each year royalty members are nominated by organizations on campus. Your donation would provide a Homecoming banner to welcome back alumni. Each organization competing in Homecoming creates a banner to display on the stadium parking garage. An entire group of student organizations is able to participate in Homecoming competitions with this donation! Your donation will help create a new Homecoming tradition! This year, you could be a sponsor for the first ever Homecoming kick-off event!